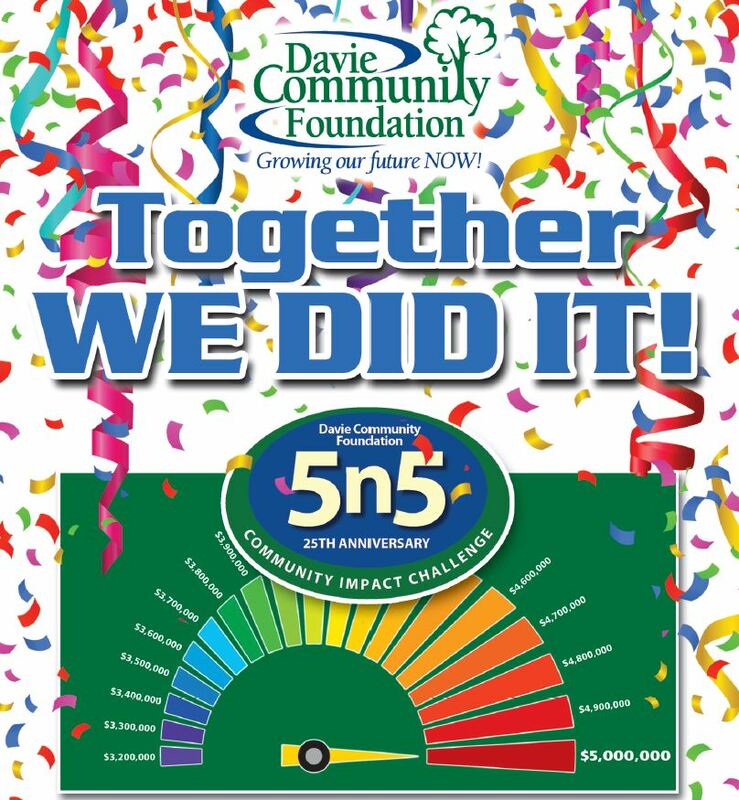 The Board of Directors issued the 5n5 Community Impact Challenge in 2013 as a campaign for endowment to raise $5 Million over 5 years in Community Funds. 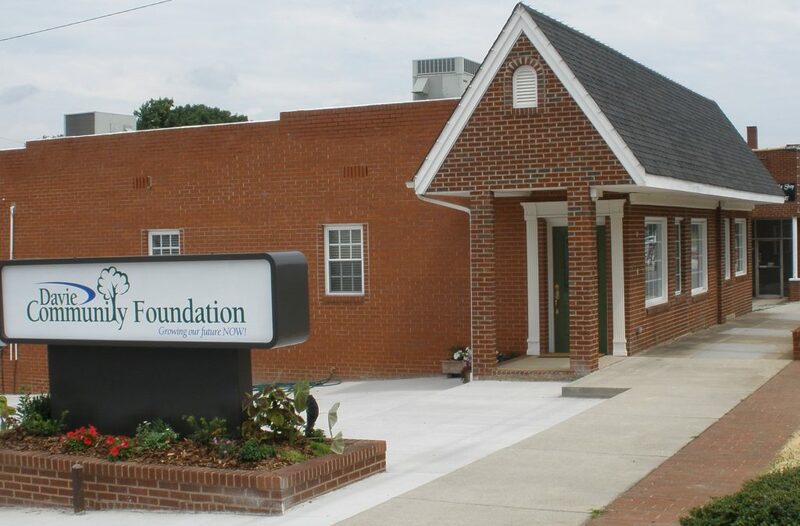 These funds will allow the current Board and future Boards to meet the needs in Davie County. We know that challenges and opportunities today are different than they were 25 years ago and they will be different again in the next 25 years. 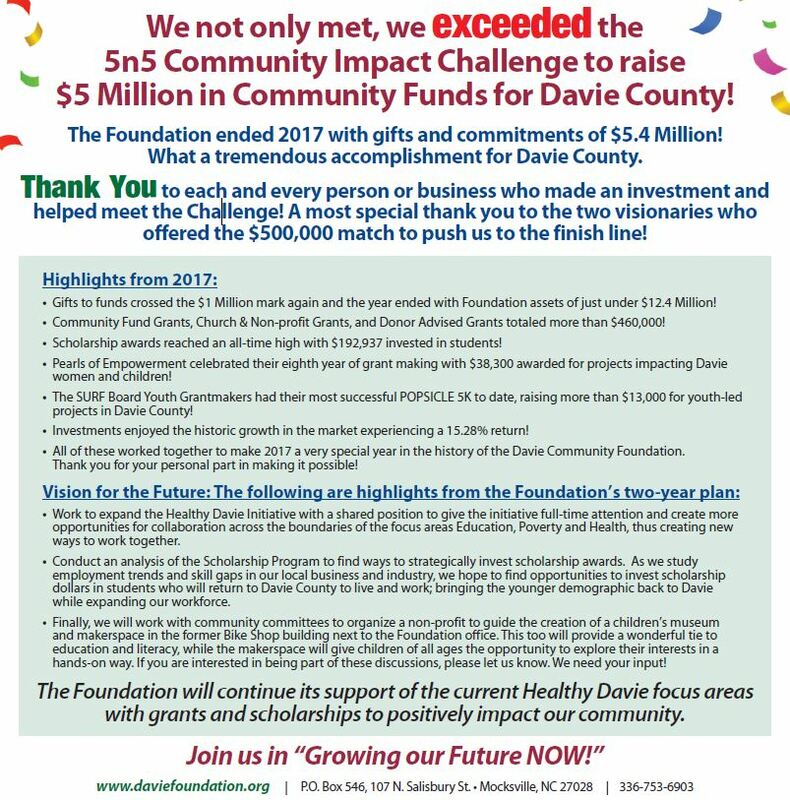 Click here to read about 2017 Community Fund Grants awarded for Davie Projects and Organizations!